I didn’t think I was going to pull off this one. Even in control of arguably the best basketball player ever — Michael Jordan — I was still way off the pace. It was late in the third period, and my goal was to score 69-plus points with Jordan while racking up a handful of assists and still beating the Cleveland Cavaliers. Closing out the third and heading into the fourth, Jordan once again heated up. If this were NBA Jam, the ball would have been covered in flames as it repeatedly found the bottom of the net. Jumpers were falling, and every time he pushed toward the basket, even with pressure or an incoming foul, he would make one extra move that was all the difference. I ended up reaching the 69-point plateau with about 1:30 remaining in the game, at which point I went to work on the last two assists — not easy considering the rest of the Chicago Bulls seemed content to consistently whiff on wide-open looks. But Scottie Pippen and co. finally stepped it up. They hit their shots as the Bulls finally pulled away from the Cavs. As the final seconds ticked off, I let out a cheer as one of the more exhilarating games I played wrapped up. A minute later, the Player of the Game montage highlighted just a sampling of Jordan’s record-setting night, and then I got a little check mark on the second Jordan Challenge. 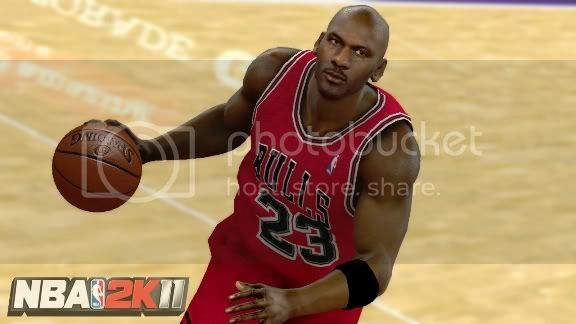 2K Sports took something of a gamble by putting a retired player on the cover of NBA 2K11. And at least for me, I consider it a success for three main reasons. It got me to play against Boston: Anyone who knows even a little about me or listens to the 4th String sports-gaming podcast (the spiritual successor to the 1UP Sports Anomaly) is well aware that I’m a huge homer when it comes to the Boston sports scene. I almost always choose them in a video game, and the same goes for when we have a “pick ’em” feature on the podcast. What can I say? I’m loyal. As such, it’s quite an accomplishment that outside of some training modes, I haven’t yet played as Boston in NBA 2K11. The Jordan stuff just sucked me in. In fact, the first Jordan Challenge is a statement playoff game against the ’85-’86 Celtics, the eventual champs, in which Jordan has to score at least 63 points. It takes something special for me to take the opposing side, so credit to 2K11 for pulling this off. Nailing the era: This is pivotal. A lot of sports games offer classic teams, but here it’s done with more care and offers an appreciated attention to detail. It’s not just the complete rosters of the included classic teams; it’s also the surrounding atmosphere. Most notably, the commentators talk specifics in regard to that game and time. In that playoff game against the Celtics, for example, play-by-play man Kevin Harlan will talk about the powerhouse Celtics and how the upstart Bulls aren’t expected to win. As Jordan approaches the scoring mark, they mention how the playoff record is about to go down. In addition to other details like the correct jerseys and classic opponents like the Hawks’ Dominique Wilkins stepping up his frightful game, everything is geared toward re-creating that feeling you’d get turning on a late-spring basketball game during Jordan’s reign in the late ’80s and ’90s. As someone who grew up back then, I love that nostalgic throwback. The franchise alternative: I know a lot of players, myself included, are becoming bored of the yawnfest that defines most sports-sim franchise modes. They do everything you could ever want over 30 or so seasons, including trading and drafting players, as well as setting ticket prices and budgets — and I can’t get excited by them anymore. That’s why I appreciate Madden NFL 11’s Madden Moments, bite-sized gaming scenarios that put you in a pressure situation. 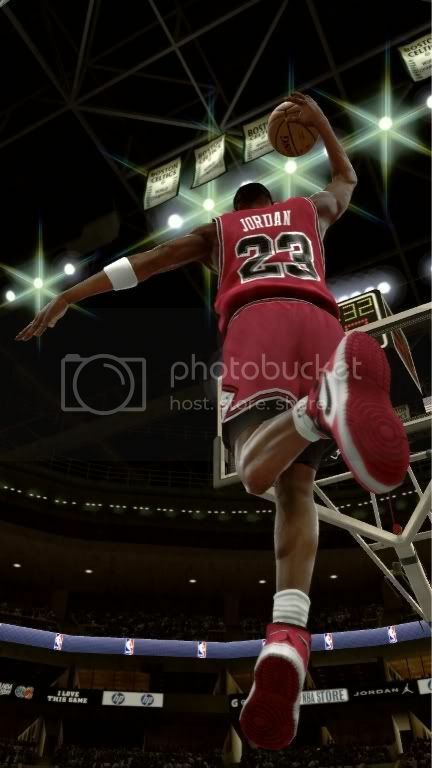 Plenty of games have done similar scenario-based gameplay modes, but I can’t think of one that put it as front-and-center as NBA 2K11 has done with the 10 (extremely difficult) Jordan Challenges, which typically give you a point goal and a few other parameters. And so I haven’t even touched the franchise mode here, all the more surprising given Boston’s juicy opening-night match-up against the scary-good Miami Heat that would typically be a day-one appointment for me. Leading up to NBA 2K11’s release, the hosts of the aforementioned 4th String podcast, including Todd Zuniga, Andrew Fitch, Mike Suszek, and myself, argued the merits of putting a retired player on the cover of NBA 2K11. While the other three were skeptical, I found the idea intriguing. And it seems a lot of others have as well, including Bitmob community member Devon N. Campbell, with a write-up on the game's all-important drama, and writer Layton Shumway, who talks about the awesome yet brutal opening to the game. So yes, I'd qualify this experiment as a success. My biggest concern actually comes from looking forward. 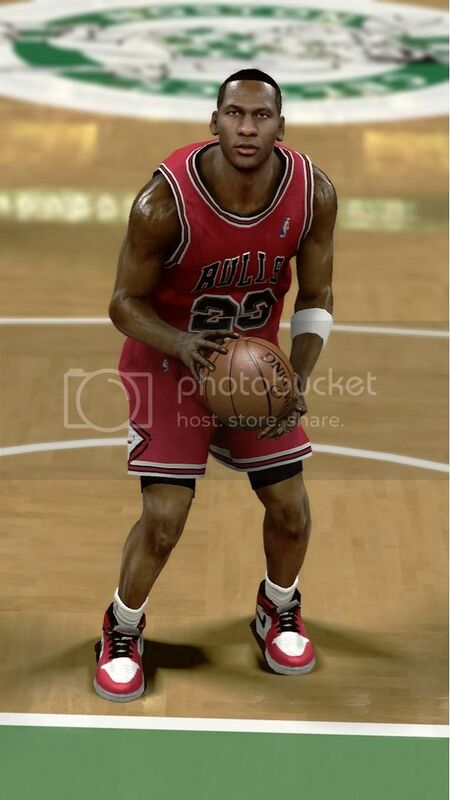 Given that 2K Games used Jordan this time, can they pull this off again? I would love to see a game that highlights Larry Bird or Bill Russell. Problem is, their appeal isn’t quite “global icon” level. 2K Games took a calculated risk here that has paid off. Regardless of what next year brings, I'm enjoying my return trip to 1990s NBA action.